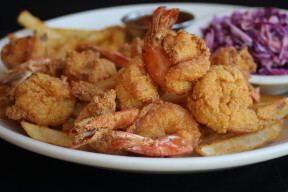 Craving coastal cuisine? 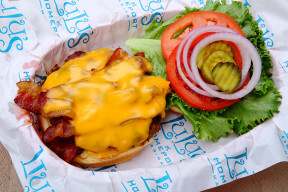 From succulent seafood to luscious land fare, our Sports Commission restaurant sponsors have you covered. 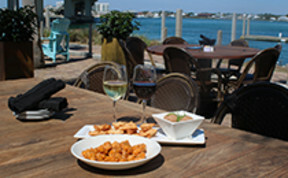 And, many of our restaurants can easily accommodate large parties with advanced notice. Score big by ordering ahead to streamline meal time so the whole team can hang out and chow down together. 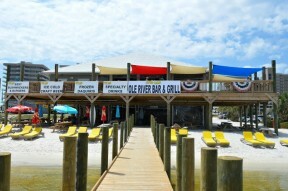 Offering waterfront dining with air conditioning inside and a 2,500 square foot deck outside. 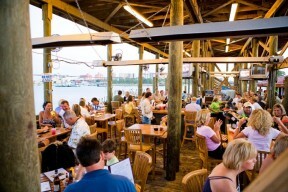 Enjoy cold drinks, delicious seafood and an amazing view! 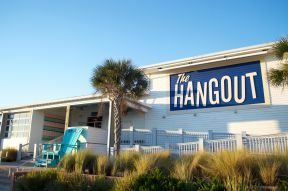 Open daily at 11 a.m.
We have a laid back atmosphere offering almost-famous "sho'nuff" seafood. 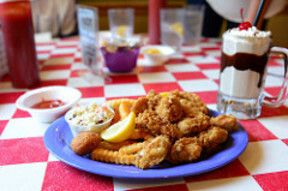 Doc’s Seafood Shack and Oyster Bar has great gumbo and famous fried shrimp. 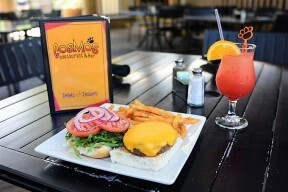 Doc’s is where the locals go. 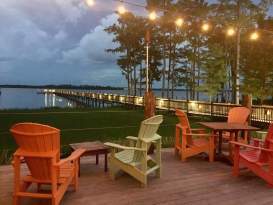 Savor unique culinary choices and a blend of local favorites in a family friendly atmosphere with a stone hearth pizza oven and fresh made salad bar as well as craft beers and daily happy hour.